As self-expression through original songwriting forms an integral part of our curriculum, our Artist Series and Master Class events gives our students and families the opportunity to participate in a unique event designed specifically by PSRS and the visiting artist. Past Artists Series events have featured JARVIS COCKER, LOU DOILLON and CHRISTIAN MAZZALAI (Phoenix). 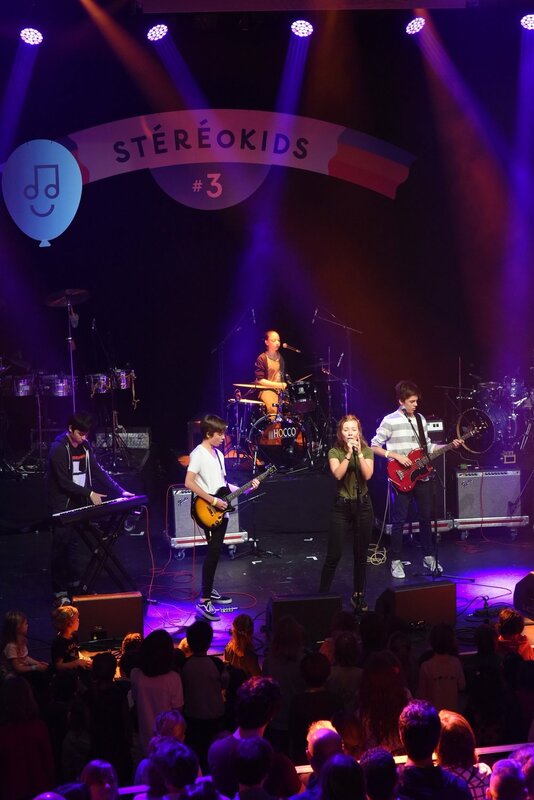 We are proud to be an integral member of the STEREOKIDS team! Founded by Pedro Winter, these annual events at La Cigale showcase PSRS bands alongside such notable acts as Justice, Metronomy, Chassol, etc... In addition to our band's performance, we also host a rock atelier, co-sponsored by Gibson. PSRS hosts a rock jam session for all ages at the world famous Lollapalooza music festival in Paris!